Doctors usually administer psoriasis shots as a last resort for patients who have tried all other forms of treatment for their psoriasis. You currently cannot get these medicines without a prescription from a doctor, in part, because injecting yourself carries its own set of risks and in part because each of the medicines is fairly powerful and can interact with a whole range of other conditions and drugs. Up until fairly recently, most shots would have been synthetically created to target specific parts of your immune responsible for the buildup of plaque and inflammation. Synthetic chemicals tend to have more negative side effects than natural medicines so patients with severe psoriasis tended to avoid them. The advent of biologic medicines has managed to combine natural chemical reactions with FDA standards for drugs. Live human or animal proteins, are the components of biologic medicines, such as insulin as an example, but psoriasis medications target areas of your immune system. They still carry side effects, which are not as severe as the synthetic drugs. Tumor Necrosis Factor-Alpha Blockers – Despite the long name, the tumor necrosis factor-alpha (TNF-alpha) chemical is responsible for inflammation in your body. While it hurts and can itch, inflammation helps to increase blood flow to the area so that more anti-bodies and clotting agents can get to work on healing the area. However, in psoriasis, this is the chemical that is most often out of balance, so blocking the receptors helps to reduce levels of TNF-alpha and in turn reduces the amount of inflammation around the areas of your skin affected by psoriasis. Interleukin Blocker – Scientists currently think that two main proteins, also called cytokines, are responsible for the creation of the additional skin cells that lead to plaque buildup. These are known formally as interleukin-12 and interleukin-23 and any drug that reduces their activity may also reduce the amount of excess skin produced by your body. T-cell Blocker –Your white blood cells, which are the part of your blood responsible for killing off infections, viruses and diseases, contain T-cells, which actively break down the bacteria responsible for making you ill. Psoriasis sufferers have a genetic default which makes their T-cells attack their skin instead of leaving it alone, which in turn causes the inflammation and scaly texture. T-cell blockers stop chemical signals being sent to your white cells, which can put you at risk of other diseases, as it will weaken your immune system. 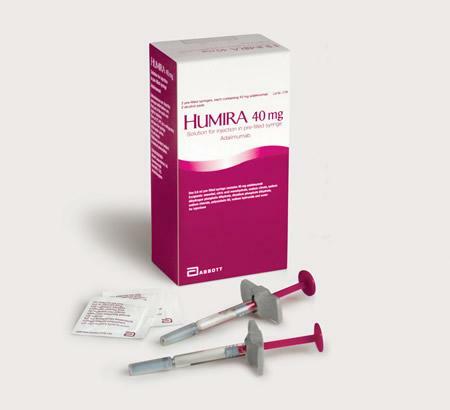 Humira – This TNF-alpha blocker drug requires a high initial dosage for the first week, and then your doctor will follow with weekly injections. It can take a few weeks to see real results with Humira, but they tend to be long lasting. Stelara – This injection is the most common interleukin drug and requires minimal contact with your doctor. You get two injections in the first month, and then one injection every three months. The side effects feel like the flu so you will need to carefully monitor your health. Amevive – This is the go-to drug for T-cell blocking and requires a small injection once a week for 12 weeks. After this initial period, your doctor will assess your symptoms and you will have to wait 12 weeks before starting a second round of treatment. It is clear that all the psoriasis shots will affect your immune system, which is why your doctor will try various other treatments before initiating a course of injections.